India's No. 1 radio network with 44 stations has its Mumbai Station ring in this Christmas season with 'Santa ki Class', which invites celebrities and listeners to share interesting and unique gifting tips this festive season. 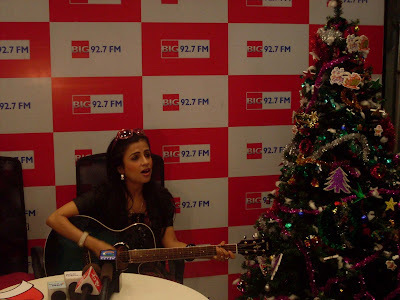 The celebrations also saw Shibani Kashyup play the 'Big Santa' by sharing interesting festive notes with RJ Archana Jani. 'Santa Ki Class', spread across the day will see the RJ's of the Station interview listeners on what they would like to gift their loved ones this Christmas season. 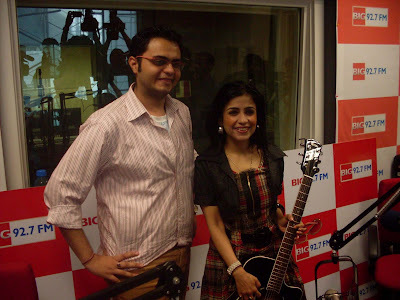 RJ Archana Jani will also host a class with the authorities of Mumbai on what they want to gift the City. Chal Kalti Maar will have RJ Rishi play the game with young and enthusiastic college students. RJ Rohit will also speak with listeners on out of the box gifting ideas this season on his show Mumbai Mach Mach. The Station has put together a well tailored programming mix to excite listeners and seek high participation, while having loads of fun and wishing Mumbaikars a peaceful Christmas. All of this will be coupled with loads of gifts being given out on air. RJ's will also cover midnight and early morning masses and choirs from churches across the city, which is sure to offer listeners a complete treat. Wishing the listeners a merry and peaceful Christmas, Neerja Dhillon, Station Director, BIG 92.7 FM- Mumbai said, "Our station has always been the true reflection of the City's vibe and it is no different this Christmas. Given the current mood of the City, we introduced the property 'Santa ki Class' to celebrate the spirit of the City. To all Mumbaikars, BIG 92.7 FM extends its best wishes for a peaceful Christmas." BIG 92.7 FM, India's No. 1 FM Station and a Radio initiative from Adlabs Films Ltd., since its first station launch in September 2006, has expanded at a phenomenal pace creating history by launching its 45 station network in 18 months, including an FM station in Singapore. Having completed its goal of a pan India presence spanning across 45 cities, 1000 towns and 50,000 villages to reach 200 million Indians across India, the brand is now looking towards expanding to more cities within the country as well as overseas. The brand has taken FM as a medium of entertainment beyond the metros, to virgin markets, offering consumers and advertisers a new experience of this medium of entertainment. Within a short span of time with distinctive content and innovative promotion, BIG 92.7 FM has established leadership in the FM space and firmly laid the foundation for an exciting future ahead.